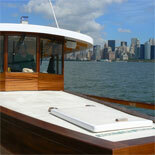 Step aboard the teak decks of Manhattan, the 1920s-style luxury yacht, for a leisurely weekend brunch. The "cruisine" is packed with delicious New York State foods and fresh bakery goods from NYC purveyors. 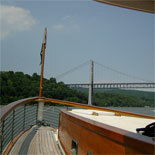 Step aboard the teak decks of Manhattan, our 1920s-style luxury yacht, for a leisurely weekend brunch. The "cruisine" is packed with delicious New York State foods and fresh bakery goods from NYC purveyors: a plentiful buffet spread of fresh-baked bagels and pastries, fresh fruit, glazed ham, spring mix salad, stuffed quiche, Belgian waffle station, smoked salmon display, and turkey sausages. Sit back & enjoy the gorgeous view of the island from the climate-controlled and enclosed back-deck observatory of the Manhattan. One complimentary alcoholic beverage (beer, wine, champagne, Bloody Mary, or Mimosa) is included, and additional beverages can be purchased at our onboard bar. Soda, water, juice, tea and coffee are included with the brunch. 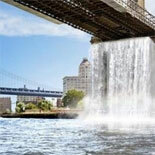 On this 2.75-hour cruise, you will completely circumnavigate the entire island of Manhattan. 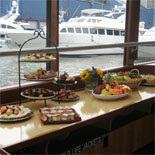 Make your reservations today, get your eTickets and enjoy the Brunch Cruise aboard Luxury Yacht Manhattan! It is an experience you don't want to miss! Cruise ends Dec 30th for season. 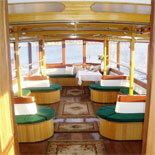 Yacht Manhattan operates from March 17th to December 29th at 10:00am- 12:45pm on Sat and Sun. There is paid parking available at Chelsea Piers but unfortunately, we do not issue vouchers for parking at Chelsea Piers. Please be aware that parking may be limited at times due to special events or construction that is going on at the piers. Child Ticket: Ages 3 to 14 years old. Children ages 2 and younger are free, but you'll need an Infant tickets. Call to check on infant pricing. Reservations are required. 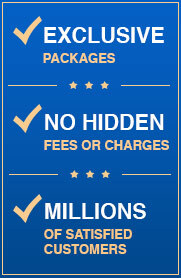 Guarantee of a full circumnavigation of Manhattan is not included. On rare occasions, the Spuyten Duyvil train bridge is inoperable and cannot open for us to pass through. This is often times not known until the tour is underway. 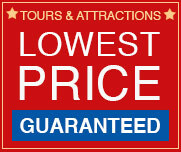 There are no refunds for tours that cannot fully circumnavigate. We will accommodate such cases with a route that features a double backing.